Recently, I am crazy over the game called Final Fantasy. While I am waiting for the Lightning Returns which will happen in the Fall 2013, it is fromthe inspiration from the game, that I came up with the photo with FINESMITH jewellery. On the other note, for those who are interested to join in the contest held by FINESMITH, searching for FINESMITH MUSE 2014, you can join in this group inworld for better information. Tags: Events, fin de semana oferta, ofers, oferta, oferta offer, STORE SLC . Tags: fin de semana oferta, new offers, oferta offer, STORE SLC . Do you love CookieMonster or Mickey ? If you do..this is it :). Hair/Pelo: Tameless Hair Viola - NEW!! Shape/Cuerpo: TIL: Luna - NEW!! Hair/Pelo: Tameless Hair Petra - NEW!! Dress/Vestido: AD] BookLook5_ Tribute to A Midsummer Night's Dream - NEW!! The Challenge is a monthly event organized by Bauwerk and L&K Prefabs where participating builders have to create an object to fit a randomly generated theme. 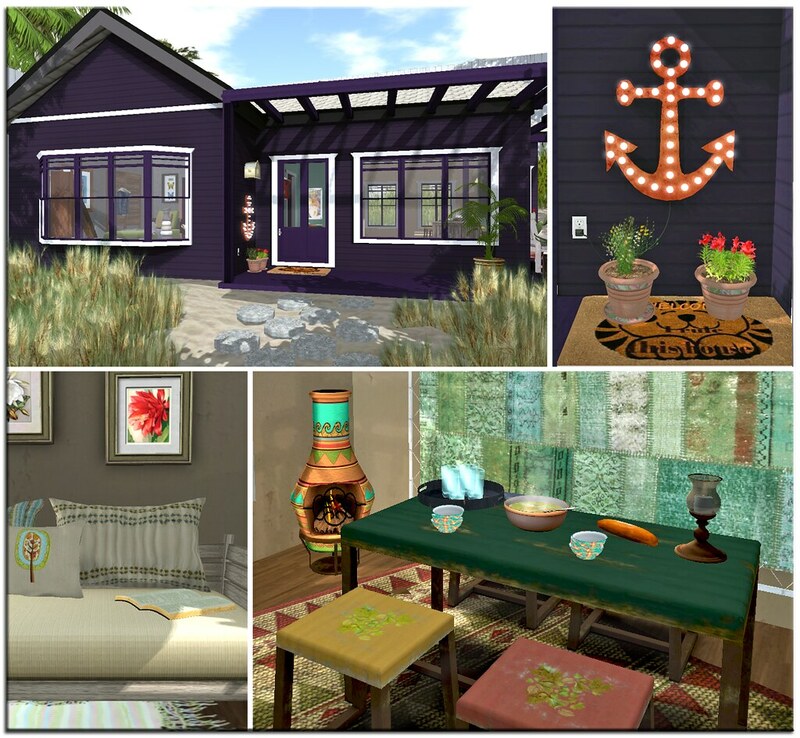 The second round theme this month is California Bungalow - not the most exotic, but there are some nice items from the participants that should appeal to many (previews can be seen on the website). The fashion here features a hunt gift from American Bazaar, an excellent free male shape found on MP, new release jeans from KlubWerK (check out the store for a whole bunch of group gifts) and more from Mens Dept. 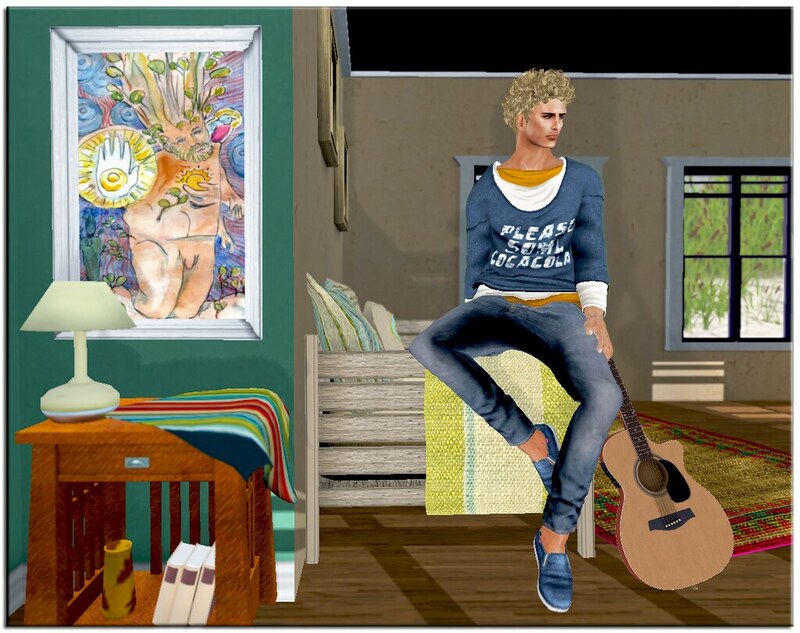 Also note that some of the furniture blogged below is from the Cookie Jar Spring Festival Hunt, which ends this weekend. Necklace - **Akers**Choker W Bow Black - old ..
Dress/Vestido: *LpD* - *Onde* Dress Blue (Two models) - NEW!! Bag/Bolso: *LpD* - *Geena* Bag Summer Ed. 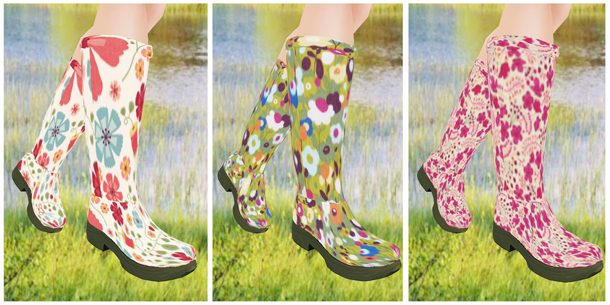 (Mesh) - NEW! !